Andrew Allen prepping for Furman Engaged by picking up a schedule of events! 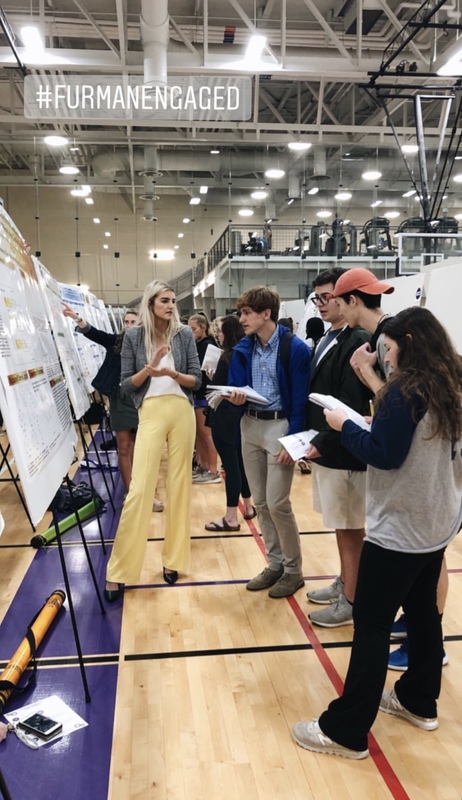 An exciting event happened yesterday that showcases the amazing work and research that Furman students have been diligently working on for months! This event is called Furman Engaged! Taken from the Furman University website, “The Furman Advantage guarantees students the opportunity to participate in high impact engaged learning experiences. 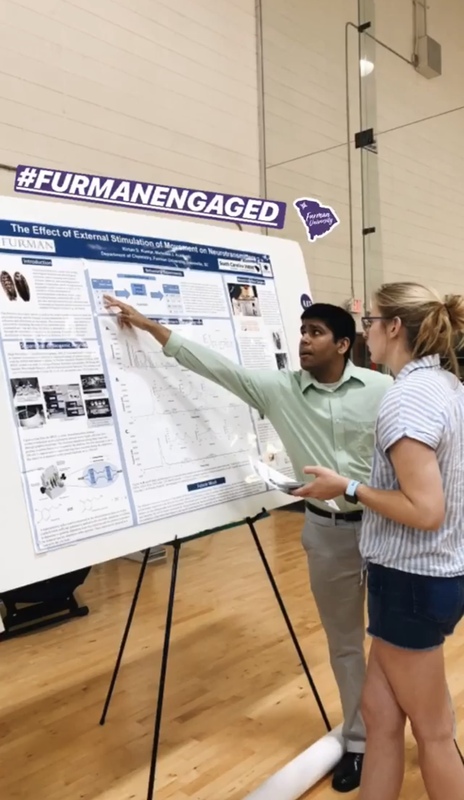 Furman Engaged is a day dedicated to highlighting these diverse and immersive learning experiences.” This perfectly describes the whole point of Furman Engaged: to display the important research, internships, study away experiences that Furman students are doing every day. Furman Engaged is a full day of presentations in most of the buildings on campus, besides residence halls. All classes are canceled and students are highly encouraged to go support their peers during this event. 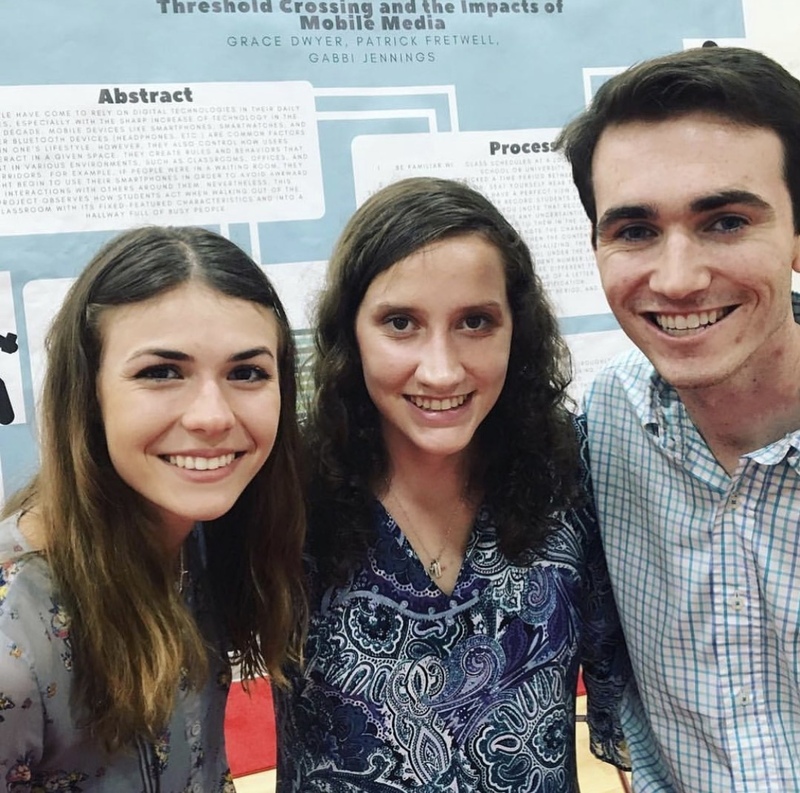 The presentations can be in front of many people in a classroom or lecture hall but there were also poster presentations in the PAC (Physical Activity Center). The poster presentations are a perfect way to quickly learn about a large variety of topics that may not be included in your major. This event is also intriguing for freshmen because it helps to learn about something interesting to them that they may not have known about previously. International Foods Festival!! Featuring foods from many countries, such as: China, Italy, India, and Vietnam! I went to two presentations yesterday, both being very interesting. The first one I went to was about Cuban and Chilean resistance music. This was interesting because I had never even thought about this topic and there were ten short presentations that all talked about different subjects within the topic. Whether it was about women’s empowerment through Chilean music or the Cuban revolution music in Miami, the topics gave a large variety of interesting information. The second presentation I went to was from the Sociology department. This had topics like people believing in conspiracy theories, protection for the planet, early childhood education, and a couple more. All of the topics had a unique way of being presented and the researchers were able to show their findings in the end. I think Furman Engaged is a great way to make sure you are being involved on campus and showing support for the Furman community! !